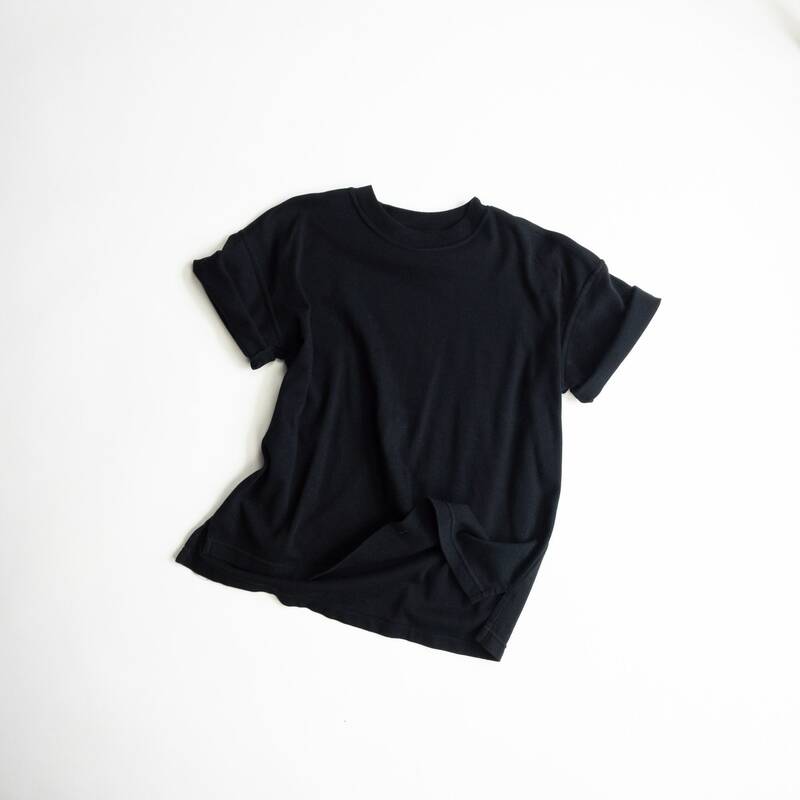 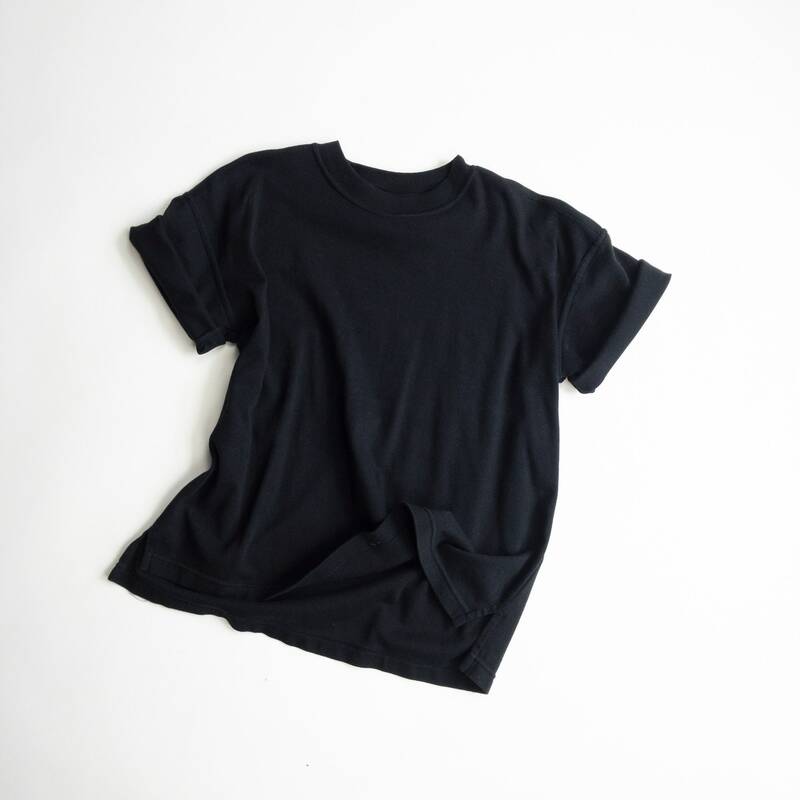 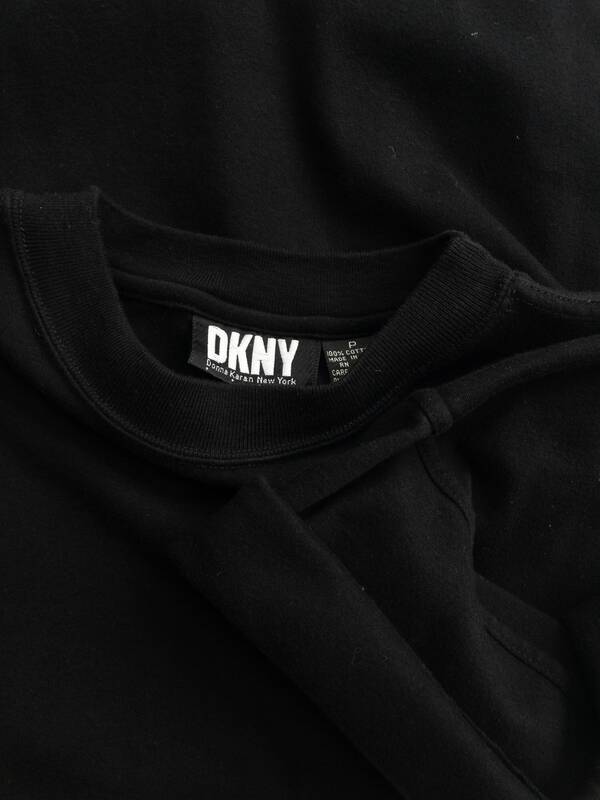 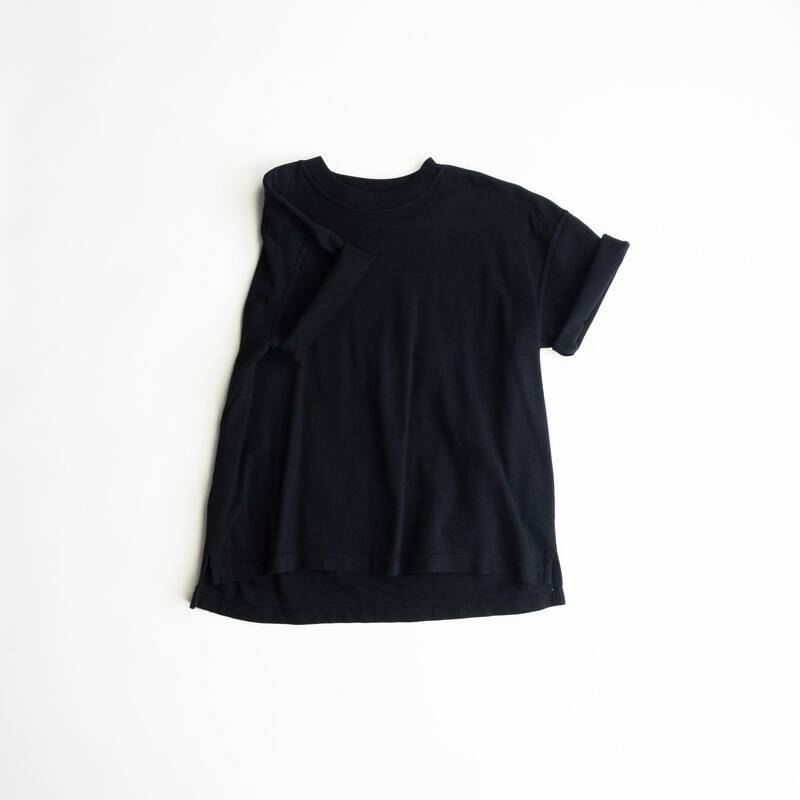 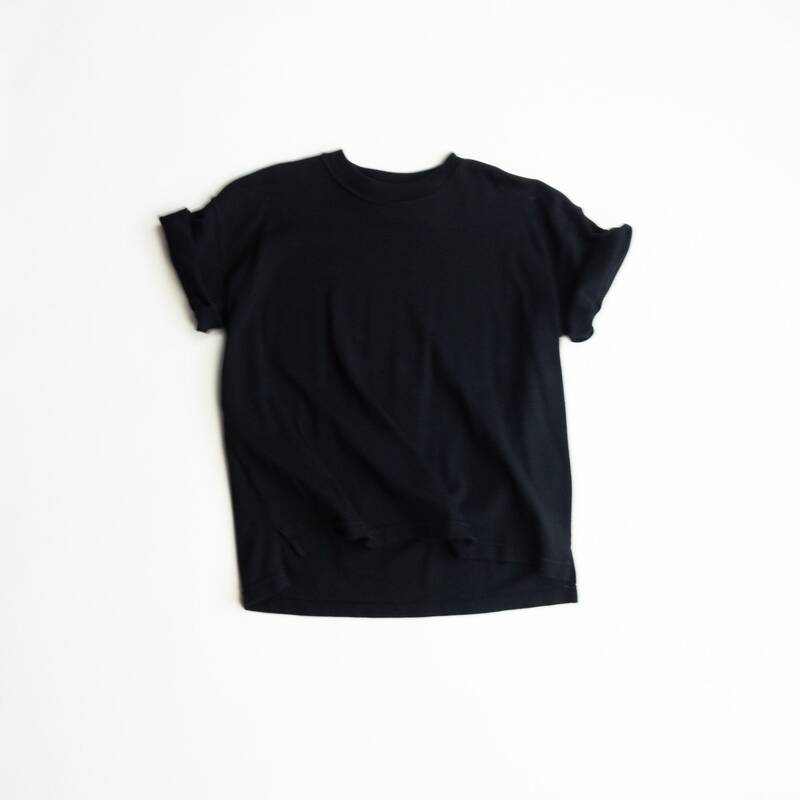 a boxy 90s tee from DKNY. 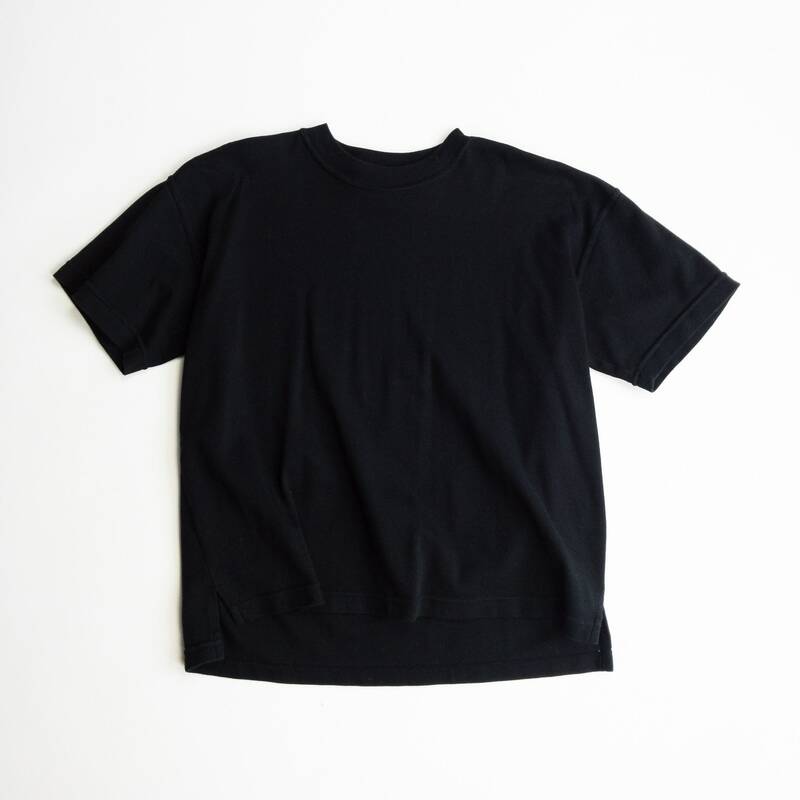 super soft, heavier-weight cotton. 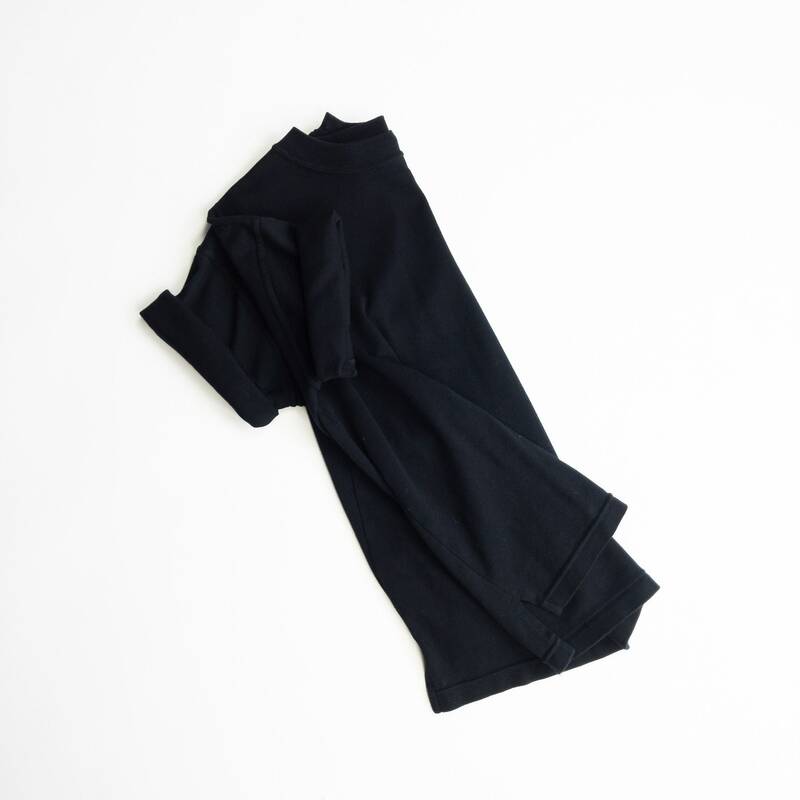 ribbed crew neck. 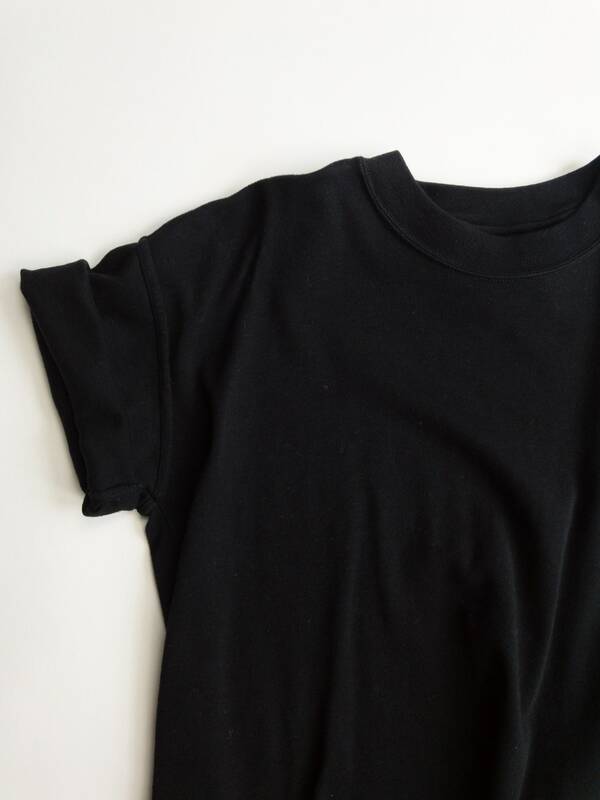 raised seams. 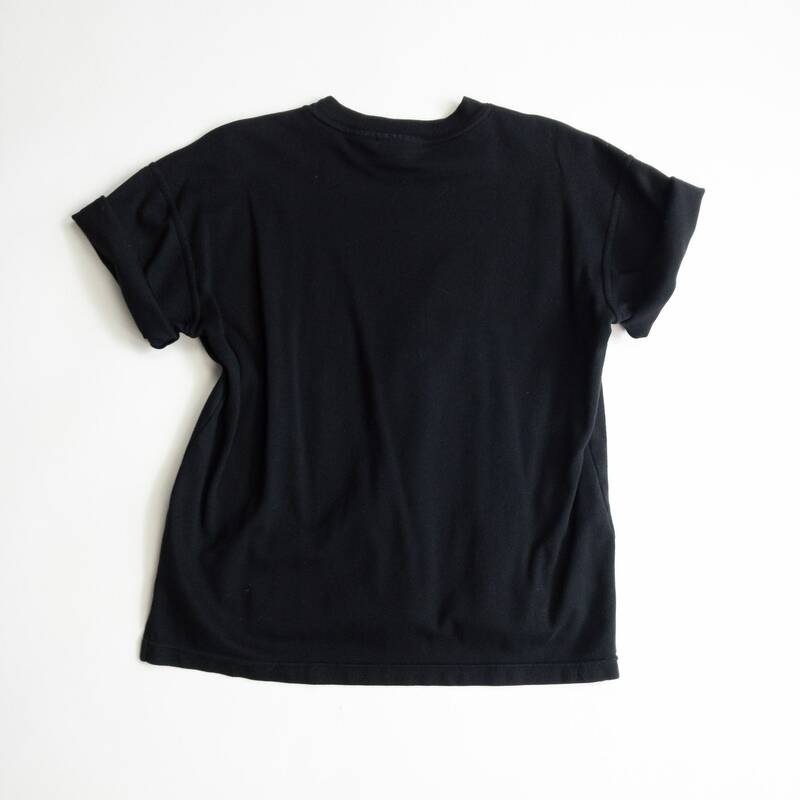 straight hemline with split sides, hangs longer in back.